New copy of Daredevil Vol. 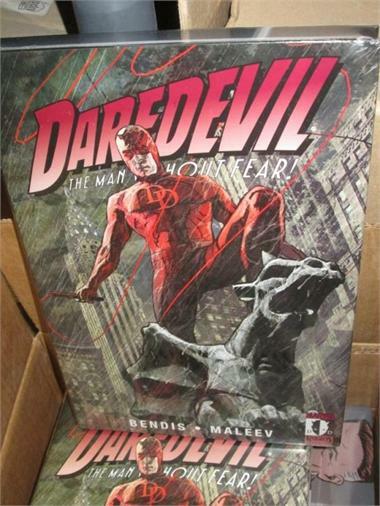 3 Hardcover from Marvel. US$38.90 which includes shipping with USPS Media Mail within the continental United States. Orders placed before 4PM EST ship same-day. Published: May 24, 2006, Original Cover Price: $29.99 1st printing. Hardcover, 304 pages, full color. Cover price $29.99. This item is brand new and wrapped in plastic.